Who knows I ended up marrying a Pakistani in the end! Of course I did tell Vidhi she should be a little more partial to Pakistan considering that she’s one of us. Of course Sindhi Bhaibands have their ancestry from Punjabi Khatris (Sikhs & Hindus) who migrated down the Indus in the late medieval era. So the heartland of the Sindhi Hindus is really the Indus Valley..
Thankfully and more importantly Vidhi’s only has a slightly increased risk for celiac disease but thankfully as a South Indian born & bred she prefers rice to bread. It is interesting though just how “Pakistani” the Hindu Indus people are in their culture; very extroverted etc. That’s why Sindhis love Dubai so much; reminds them of their lost homeland, Karachi. Pakistan and India are only 70 years old. It’s not surprising that Sindhi Hindus have 99% of the same genes as Sindhi Muslims. Many (Most?) Pakistanis are ethnically Indian (Certainly Punjabis, Sindhis, Kashmiri-Punjabis and Muhajirs are). Glad that celiac disease won’t be an issue. Sindhis are probably the most conflicted people i have found in the subcontinent.In India, it feels like punjabi sikhs and hindus have somehow made their peace , but sindhi hindus still are not over it. But wont show it as much. Sindhi muslims in US even more. Not happy with Pak state(Punjabis), not happy with Indian state,Pathans, Balochis, Mohajirs. Its amusing and sad at the same time. send me her raw data to contactgnxp -at- gmail.com and i’ll add it to my database of south asians. and yes, sindhi hindus seem to be like other sindhis. Do we have example of a ethnicity where there are two distinct groups have different mix of genetic makeup with two different religions/sects? I would guess some Iranian group(s) might have that, one group majority shia, one majority sunni. eg lebanese nonmuslims and muslims most similar to each other. but muslims are ones with small african and east asian (turk) snips. you see same in iran. zoroastrians are more ‘pure’ with less admixture from exotic groups. That could be due to the institution of slavery in Muslim societies – both men and women. Slavery distributed genes widely. I doubt that Lebanese Christians and Jews were not maintaining slaves while living in an economy where slavery was pervasive. I think it more because minorities in a majority dominated society usually are more zealous in maintaining cultural and genetic purity. also, many religious minorities before the pre-modern period in muslim areas were kept in semi-slavery or treated like untouchable castes. the example of jews in yemen is the most clear. and yemeni jews are very distinctive from yemenis in general because they seem so much more ‘pure’ southwest arabian. we must remember that dhimmis in the pre-modern era were oftne quite marginalized once they became a minority. it was during the period of european hegemony during the late ottman years that they were liberated in part due to ottoman shift toward non-confessional state (giving non-muslims citizenship) as well as explicit european protection of minorities, especially christians (who then began to act as middlemen minorities and taking to european mission educations and so becoming wealthier). Do you accept livingdna data? sure. send. i can write a script to process that. Got reminded from Syed, can people genetically ‘prove’ that they have descended from the Prophet? long answer is that last i checked a lot of south asian syeds have Y chromosomes which are rare to absent in people from arabia. so they are certainly not direct descendants. i recall one study which showed instead their profile is like that of high caste south asians, indicating they simply traded in elite status from one group to another…. Yeah that seems to obvious answer. 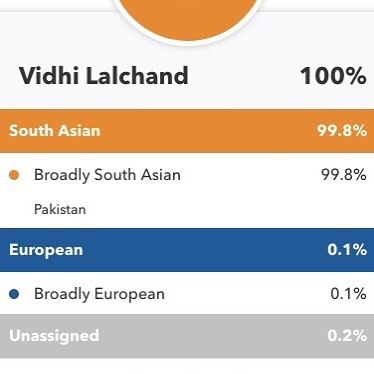 What is one finding in all these years about the subcontinent genetics which has genuinely surprised you? Thanks, how long will it before I see it? Are you waiting on collecting as much South Asian data until the results are up or can I see it sooner? i usually wait a few months to publish batches. i didn’t expect caste/jati stratification to be so strong and so in line with expectations. Iran_BA (Iran_N (CHG + Basal Eurasian) + Anatolian Farmer (WHG + Basal Eurasian) + Steppe (CHG + EHG)? Obviously the above question was directed at Razib, the foremost South Asian population geneticist of our generation, and the pride of Bangladesh!!!!! i’m not really an eminent population geneticist, unfortunately. did not go the academic route! What one place/group/state/district in India (not Bangladesh) is one off and does not have Jati stratification?